I owned an Acer Chromebook 14, CB3-431 model. Despite the pathetic storage capacity of 22.5 GB, it has all the tools and gears for me to work efficiently and remotely. Find out the latest pricing of this Acer Chromebook 14 at Amazon here. Chromebook is certainly the perfect computer solution for those that don’t require a full-blown laptop experience, but I definitely going to need something more powerful than a phone or tablet. Google has absolutely knocked it out of the park with their ChromeBooks. Google had started to dominate the tech world since 1998. 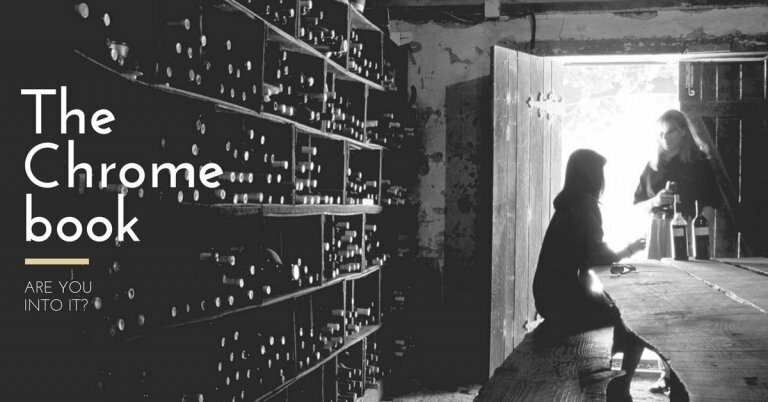 It all started with a little search engine that was created in a garage. Today, Google is so much more than just a search engine. It has options for everything. Need a web browser? There’s Google Chrome, one of the most powerful tools on the market. Need a place to store your data? No problem. Google Drive or now known as Google One is here for you. Should you be using it? However, there is one part of the tech world where Google hasn’t joined in the race – hardware. Well, until recently, that is. Not that long ago, Google designed and put out a laptop of a specific breed – the Chromebook. But, while the Chromebook has been on the market since 2011, it wasn’t until recently that it started gaining popularity. Today, everyone knows what Chromebooks are. The Chromebook is a very thin, lightweight laptop. Pioneered by Google and named after the most recognizable web browser, Chromebook is a distinct piece of hardware. If you’re looking for a regular laptop, keep looking. Chromebook has particular specifications. It was designed as an affordable laptop alternative that’s supposed to fill a void in the tech world. As such, it isn’t suitable for everyone. Firstly, the Chromebook has a web-based Google operating system. This OS is designed to be internet-dependent. Most apps and documents are online-based. Therefore, if you do a lot of your work on offline, heavy-duty software apps, this might not be the best choice for you. Of course, you can still use it, even when offline. The Chromebook came to the market with a bang because, in the world of accessibility, multi-optional and multi functional systems, Google opted to create a simple and minimalist operating system. From the company that brought us Android and that’s continually adding plug-ins, apps, and programs to our devices, the minimalist approach might be a surprise to some. However, the fact that Google Chrome is the primary interface definitely isn’t. How is Chromebook different from laptops? As long-time laptop users, I wondered what makes the Chromebook so different from our regular devices. Here’s the 4 points that I can conclude in generally when it comes to Chromebook vs Laptop. Firstly, the Chrome is very thin and light. There’s a good reason for that. The companies producing regular laptops could never rival the lightness of the Chromebook because of all the extra components they include in their hardware. Secondly, the Chromebook doesn’t have a hard drive. All the data is stored online. It only has a small drive that holds the operating system, and the primary storage is the cloud-based Google Drive. Furthermore, the Chromebook lacks optical devices and other typical hardware. Another benefit of the Chromebook is the longer battery life. Because it doesn’t have a regular hard drive, this device can last longer unplug. Most noteworthy, this device is optimized for Google Apps. So, since all your work will be done online, all you really need is the Google Chrome app. Google also designed the Chromebook to be affordable. Since the manufacturing costs less, the overall price is much lower than the cost of regular laptops. An average selling price for Chromebook is around $199-$399, with the exception on Google Pixelbook which carry the price tag of $999. While the average pricing of laptop that had a decent specification starts from $1000 and above. Finally, if you’ve ever felt the frustration building up in you because your laptop is taking too long to boot, don’t worry. Due to its specifications, and the lack of a hard drive, the Chromebook has a fast booting time. The system will be up and running in eight seconds most of the time. My Acer boot up in 4 seconds! 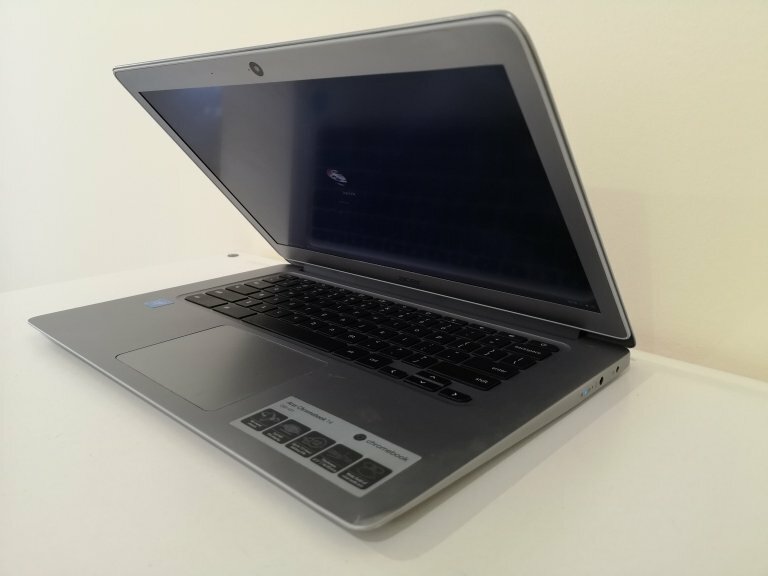 Partnering with numerous high-end technology manufacturers, including titans like Samsung, Dell, ASUS, and Lenovo, to produce lightweight, efficient, and blazing fast laptops that run the Chrome Operating System (Chrome OS). These amazing little gadgets take full advantage of cloud computing and in operating system that “lives” in the cloud to provide a computing experience quite unlike anything else ever before. Because these gadgets have such a small and thin form factor there just isn’t room for extra “guts” to pad out their storage beyond right around 16GB or so. You typically get 16GB of local storage when picking up a Chromebook and for sure you aren’t getting more than 32GB for most of the case. It was designed for the “Cloud” environment after all. Not to forget that a fair share of this onboard storage goes to the Chrome OS generally, and if you are worried about not having enough space on your new Chromebook for your pictures, your movies, your music, your games (I doubt you can install any games), and your favorite applications you wouldn’t be the first to stress about that. Since it’s an internet-based laptop, the Chromebook has some software limitations. You can’t download and install favorite apps like Photoshop or Windows Office. You can, however, work with their online versions, just like Google intended. Chromebook also has sparse options for games. Considering it only has 16 to 32 GB of internal storage, games aren’t really the Chromebook’s forte. Therefore, we don’t recommend this for serious gamer. However, that’s not crucial, as gaming isn’t this laptop’s purpose. Furthermore, you’ll have limited use of your Chromebook if you’re offline. Still, even when offline, you can use over two hundred apps that will sync once you get a stable internet connection. And, while offline, you can still check your email, write documents, take notes, save pages for offline reading, etc. Finally, users have reported that they’ve had trouble connecting their printers and pairing other devices with the Chromebook via Bluetooth. Also, the Chromebook has fewer ports than regular laptops. We are here to sets you apart from those problems that Chromebook are having. By providing solution that can instantly improve and boost up your Chromebook pathetic internal storage space by 30x! Thankfully though, with the three best cloud storage solutions for Chromebooks that I highlight below, you don’t ever again have to worry about running out of space on your new ‘laptop’. Even better, you’ll be able to access ALL of your data from ANY device with these cloud solutions. These three cloud storage can solve your chromebook’s lacking of internal storage space problem with ease. It’s no surprise that one of the best cloud storage solution you could use with your Google’s Chromebook is the cloud storage set up from Google themselves – the Google Drive platform or now being called as Google One. Originally a pretty bare-bones knockoff of another of our favorite cloud storage options, Dropbox (which I will highlight in just a minute), today Google One is one of the more feature-rich platforms you’ll find in the cloud storage space. Combined with the Google Office platform – giving you access to a Microsoft Office rival suite of software all based in the cloud and working perfectly with the Chrome OS. 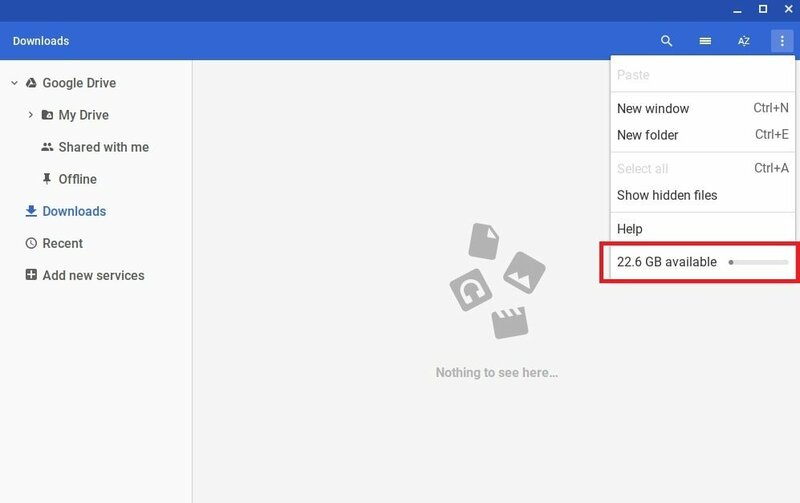 And my favorite Google Photos (as well as the storage for your Gmail account), you will find more tightly integrated cloud storage solution for your Chromebook than this one. 15 GB of storage are available free of charge (and you get the office suite of tools included as well), though you’ll have the opportunity to upgrade your storage in tiers if you need a little bit more space. *Updated: Google Drive just re-brand themselves to Google One. Get details of Google One Pricing structure here. If you’re looking for a quick recommendation on cloud storage service for your chromebook, we’d go with pCloud. We are using their 2TB + Crypto bundle plan and our cloud storage comparison shows that they excel in comparing with competitors. Read our full review on pCloud here. That’s doubling up the storage that your chromebook is having (16GB) for nothing! While for just about $1.99 a month will get you 100 GB of space, $9.99 a month will get you 1 TB 2TB of space, and $100 a month will get you 10 TB of cloud-based storage through Google Drive. Google One does not offer lifetime storage like pCloud. But it doesn’t stop them from offering you a sweet deal too. You’re in luck though, as your purchase of a Chromebook guarantees that you get 1 TB of storage free from Google Drive for the next two years. It gets expired eventually. I just want to give you a heads up on this. Best of all, if you load up your 1 TB of cloud space completely before your free subscription ends – either 24 or 36 months down the line – you’ll still be able to keep ALL that space without having to pay a penny. But we all hate to do that. Why not get it straight from the start (get lifetime cloud storage for one price)! If you’re looking for an out-of-the-box and inexpensive solution that works wonderfully across the board, especially when it comes to syncing with other Windows, Mac, Android, or iOS devices, it doesn’t get much better than this. Google Drive/One is rock solid if you want something that works right out of the box with your Chromebook. But if you’re hoping to store larger media files – like your favorite movies, TV shows, or your music library in one shot – you’re going to want to look into pCloud. Here’s a full detailed review about pCloud. One of the few cloud-based storage solutions out there designed specifically with large format media files in mind; pCloud gives you upwards of 20 GB of free storage right out of the gate. They allow you to upgrade inexpensively if you need more space than what is given for free. Optimized for large file upload and syncing across the board, pCloud has been engineered to work perfectly with the Chrome OS. Obviously, integration with the Chrome OS isn’t going to be quite as tight as Google’s own product in Drive, but it’s very easy to use, intuitive to navigate, and simple to get started with. This company is set up in Switzerland and offers you some of the highest end privacy and digital protection in the industry. Utilizing the same dedication to privacy that Swiss banks have been focused on for centuries, your upload and downloads are always double encrypted at both ends (at the client and the server sides) and only you will ever know what really exists on your cloud-based storage platform. That alone is making them one of the most secure cloud storage available now. 500 GB of storage can be had for just $3.99 a month, 2 TB of storage can be had for about $7.99 a month, and lifetime plans guarantee that you get either 500 GB or 2 TB for a onetime fee of $175 or $350, respectively. 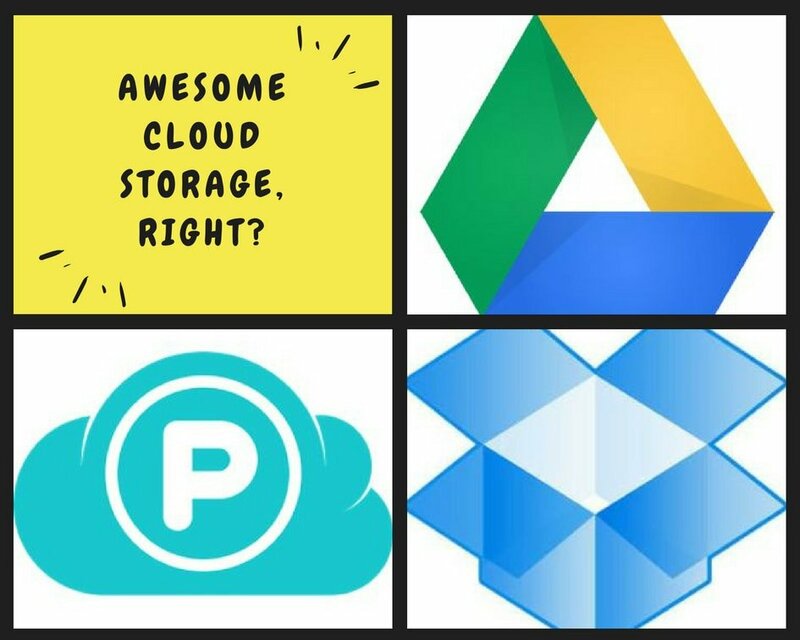 The unbeatable price makes them one of the most favorite personal cloud storage too if you compare with Google One (2TB) $9.99 vs. pCloud (2TB) $7.99 vs. Dropbox (2TB) $19.99. There’s a clear cut winner with over 60% saving every month for the same amount of 2TB cloud storage from pCloud. Still the undisputed king when it comes to cloud-based storage, Dropbox exploded on the scene a little bit more than 10 years ago and quickly became the top option for almost anyone looking to use cloud-based storage for their data. Dropbox is probably the most simple and straightforward system for getting up and running with cloud storage. A literal drag and drop configuration that designates one folder – or a handful of folders – on your device as the “HQ” for your file to be synced online, there isn’t a more flexible platform on the planet than this one. While they had just introduced the Dropbox Smart Sync which is great, but you are require to pay for it! After dragging and dropping literally ANYTHING into your local Dropbox folder on your Chromebook. The information and those files are INSTANTLY uploaded (after being encrypted, of course) to your personal Dropbox folder in the cloud. From that moment on those files are available to ANY of your linked Dropbox devices. We’re talking your phone, your tablet, or any of your other computers. You’re even able to share your Dropbox files (in whole or individually, you’re always in charge of sharing permissions) with a custom link that you can give to others. Sharing the custom link to a friend, family, and even complete and total strangers (not sure why you want to do that) – to make sharing and collaborating about as straightforward as it gets, too. While Dropbox does crowned in our fastest cloud storage test here. We would urge users to look at other factors as well such as security and pricing for a better bargain. The free version of Dropbox is a little bit limited at only just 2 GB, though every referral you send out that signs up for Dropbox gives you a little bit of extra space. You’ll get 500 MB with every successful referral all the way up to 16 GB in storage for free. That’s a lot of referral for a 16GB free storage! I reckon may be that is the reason Dropbox is having such a vast user base. $10 a month will get you 1 TB of storage, though you have the opportunity to pay $99 annually for that same block of cloud-based storage for your Chromebook and save a little more, too. Should you need more space a Dropbox Business plan is available for $25 a month per user, giving you truly UNLIMITED storage in the cloud – an almost unbeatable deal (even if you aren’t a small business owner and will be the only user accessing your Dropbox). Lightning fast, incredibly reliable, and one of the titans of the cloud storage industry you really can’t go wrong moving forward with Dropbox. Who should use the Chromebook? If you do most of your work using Google Chrome and other Google apps, then this laptop is the perfect match for you. For those of us who are regularly online and don’t need heavy-duty software programs for work or play, the Chromebook will be a delight. However, don’t bother getting it if you’re a graphic designer. You will be profoundly disappointed. Furthermore, because it has such a low price, the Chromebook is an excellent choice if you’re on a tight budget. So, if you’re looking for an affordable, simple laptop that you’ll use for browsing and Internet-based work, consider the mighty Chromebook. Sure, it’s not a powerhouse, but it’s a lightweight device with above-average performance. At the end of the day, your best bet when looking to expand the storage of your new Chromebook through the cloud is to use a combination of the services I highlighted above. A mixture of paid and free cloud storage options probably works best, giving you almost unlimited storage, effortless sharing and collaboration, and always accessibility of your digital files and media that just isn’t possible with more traditional storage options. Cloud storage solutions that I mentioned above instantly improve your Chromebook with additional 100GB to 2TB of onboard storage into a power house laptop with infinite storage, accessible on any of your other devices as well. That’s the future of storage for sure! If you’re looking for a quick recommendation on cloud storage service for your chromebook, we’d go with pCloud. They offer 20GB free storage with no commitment. The highest storage capacity in this article here. Read our full review on pCloud here.